LEGO game launches are becoming more regular than the seasons themselves. 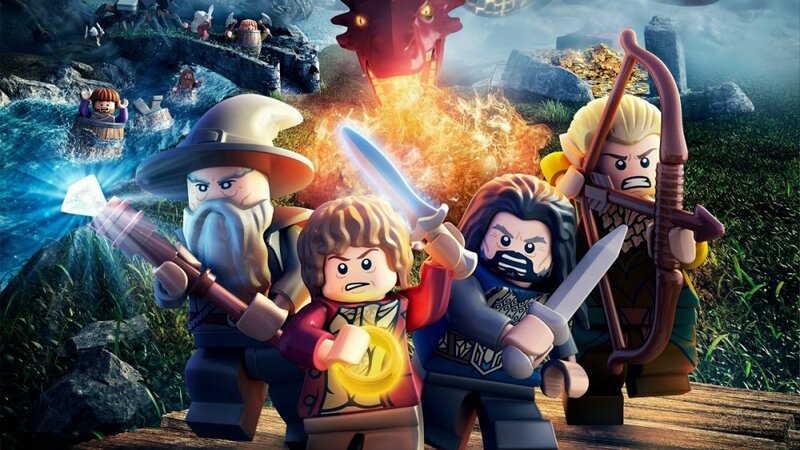 The LEGO Movie Videogame has only been out for a few weeks, but hot on its tail is LEGO The Hobbit, out now on most platforms you would wish to think about. Almost by coincidence a launch trailer for the game has also been released. LEGO The Hobbit will take players on epic quests and a variety of adventures as they explore key locations from the films, such as Lake-town, Dale, Erebor, Bag End, Goblin-town, Mirkwood, Rivendell and the treacherous High Pass over the Misty Mountains. Fans will also assume the roles of their favorite characters, including Bilbo Baggins, Gandalf, and the Dwarves of Erebor: Thorin, Fíli, Kíli, Óin, Glóin, Dwalin, Balin, Bifur, Bofur, Bombur, Dori, Nori and Ori, each possessing a unique and hilarious ability. One of the main new features of the game allows players to utilize the Dwarves' combined abilities such as buddy fighting, two-player attack, staff climb, mace swing and belly bounce to help them fight Orcs and fouler things or to progress through the game. The use of 2 player attacks and buddy fighting suggests that there may be an increase in how much the 2 players will actually co-op with one another, which will be great for the series, as some recent games have been more like two players happening to exist in the same world than actively co-oping with one another.